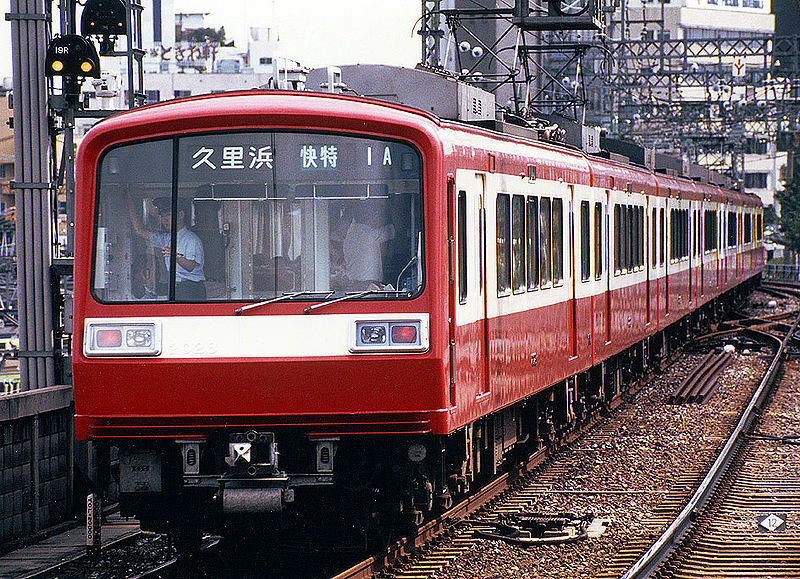 The Keikyu 2000 Series is a two-door limited-express type electric multiple unit built by Keikyu later modified into three-door commuter-type. The design of the 2000 Series was targetted at long distance riders and put comfort high up on the list of priorities. Despite being a commuter train, it was equipped entirely with crosswise seating instead of the usual lengthwise bench seating found on commuter trains. 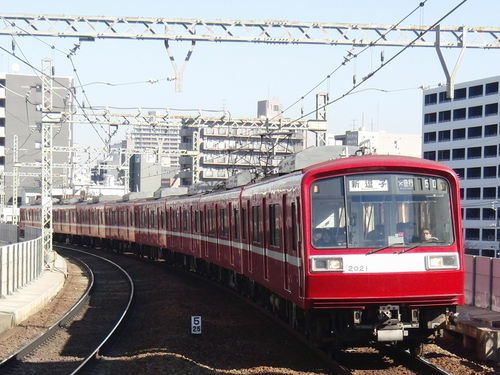 Only two doors were on each side of the train which made it easy to distinguish from the other trains in Keikyu's fleet. 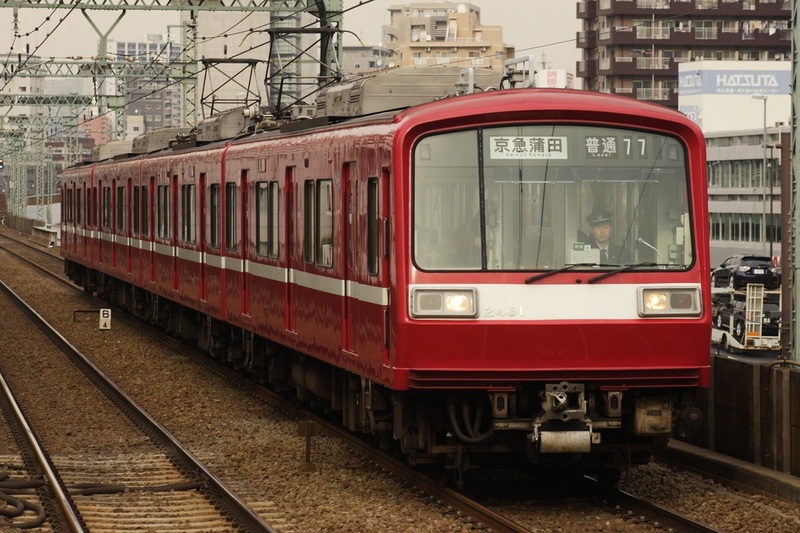 It also strayed from the usual Keikyu design of having only one headlight on the ends of the trains. Some accelerataion was sacrified to increase the top design speed from the 600 Series' 120km/h to 130km/h. With the introduction of the 2100 Series, the 2000 Series was removed from limited express service and by the year 2000, all trains had been modified into three-door commuter trains with lengthwise bench seating. 2000 Series trains are slowly being taken out of service with three formations retired as of May 2012. The 2000 Series won the Blue Ribbon award, a prestigous award given to the best train design, in 1983.